Return your white laundry to its original brilliance. HEITMANN Oxi Power White reliably removes stains, such as from coffee, red wine, soil, or grass, as well as greyness. Use the powerful stain remover as a washing power booster or to pretreat your laundry. The Oxi Power White stain remover for white laundry. Can be used as a washing power booster and for pretreatment. Now you can easily remove stains and greyness from your white laundry. With its multi-active oxygen, HEITMANN Oxi Power White removes even stubborn bleachable stains, such as from red wine, fruit, juice, tea, coffee, soil, or grass. At the same time, the multi-active oxygen eliminates unpleasant odours and deodorises. Your laundry will be hygienically clean. 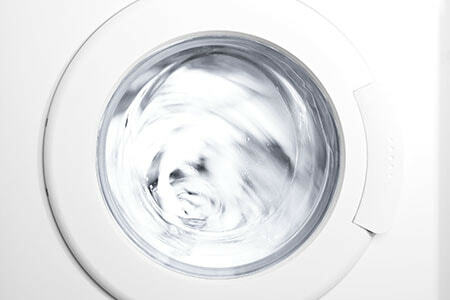 Moreover, the white booster removes greyness and makes your laundry brilliantly white again. HEITMANN Oxi Power White does not contain any fragrances and is suitable for all washing temperatures and detergents. Make your laundry radiant again. The white booster is particularly effective in removing greyness. As a result, your laundry will be brilliantly white again. HEITMANN Oxi Power White is a powerful support to your detergent and ensures hygienically clean white laundry. Make strongly soiled, greyed, and yellowed laundry brilliantly white again. Even stubborn stains are removed with HEITMANN Oxi Power White. 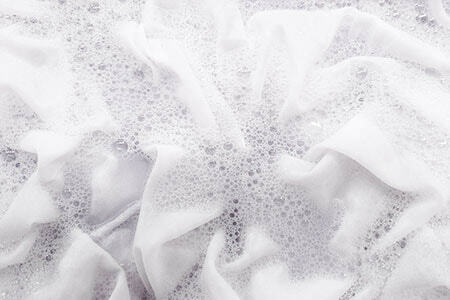 Add one measuring spoon (30 ml) to the detergent in the main wash cycle. Use two measuring spoons (60 ml) for stubborn or dried-on stains. Soak the laundry beforehand for best results. Depending on the level of soiling, dissolve one to two measuring spoons (30–60 ml) in four litres of warm water. For best results, soak laundry for six hours, but no longer than twelve hours. With this solution, you can treat stains before putting the laundry in the machine. Dissolve half a measuring spoon (15 ml) in about half a litre of warm water in an open container. Now apply the pretreatment solution directly to the stain and leave to work for 30 minutes. Quickly stir half a measuring spoon (15 ml) in 100 ml of hot water in an open container to form a paste. Apply directly to the stain and leave to work for a maximum of 10 minutes. Not suitable for coloured or coated textiles, wool, silk, and leather. ATTENTION: Harmful if swallowed. Causes serious eye irritation. If medical advice is needed, have product container or label at hand. Keep out of reach of children. Eye protection/face protection. Wash … thoroughly after handling. Do no eat, drink or smoke when using this product. IF IN EYES: Rinse cautiously with water for several minutes. Remove contact lenses, if present and easy to do. Continue rinsing. IF SWALLOWED: Call a POISON CENTER or doctor/physician if you feel unwell. Dispose of content/container in compliance with local and national regulations.